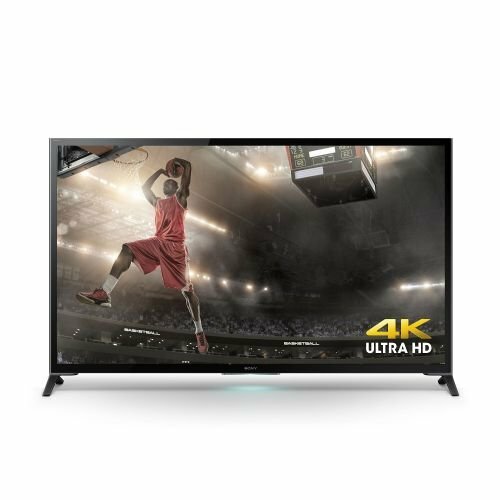 There are 4K Ultra HD TVs, and then there is Sony's flagship 4K Ultra HD TV with four times the clarity of HD, more brilliant expanded color and up to 3x the brightness range of standard LED HDTVs. Breathtaking detail is depicted with pinpoint accuracy for the most natural images. The TRILUMINOS display produces the widest color spectrum we've ever offered in a TV. But what really sets this TV apart is Sony's exclusive X-tended Dynamic Range PRO full array local dimming technology for up to 3x the brightness range. The range of peak brightness to the deepest of blacks is unlike any contrast Sony has ever offered in a TV. It's quite simply the most immersive, highest resolution TV experience possible. Sony's exclusive X-tended Dynamic Range PRO technology utilizing full array local dimming produces contrast beyond comparison. Bright whites and dark blacks are controlled with fine detail. You'll get the peak brightness that LED TVs are known for as well as deeper blacks previously only associated with Plasma TVs. Keeping the light areas bright while keeping blacks truly black is called widening dynamic range. In the image shown, notice the difference in detail of the dark buildings combined with the brightness of the city lights. The difference certainly is dynamic. Spoil yourself with the widest color spectrum we've ever offered on a television. Unique to Sony, TRILUMINOS Display technology creates incredibly true, natural shades of colors – just the way you want them. Hard-to-reproduce reds, aqua blues and emerald greens are displayed beautifully, so landscapes and seascapes look more vivid. Faces look better, too, with natural skin tones. It's all thanks to a TRILUMINOS display that uses more colors to produce a more vibrant picture. An even faster way to find what you want. With €˜One-Flick' on the remote you can instantly pull up a short cut menu that lets you navigate to your favorite TV channels, networked photos, and online videos from YouTube, Crackle, and Video Unlimited. The PlayStation Now private pilot service is now available. Get your first glimpse of PlayStationNow, which brings streaming technology to the immersive world of PlayStation® gaming. Play select PlayStation®3 games streamed directly to your Sony TV, with no console required. Just pair a DUALSHOCK®3 controller directly to your PlayStation Now enabled television and you're ready to go1.